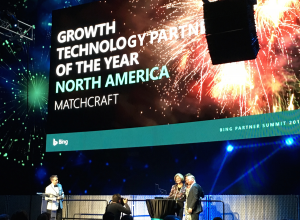 MatchCraft, owned by Advance and the platform provider for NJ Advance Media’s search engine marketing (SEM) solution, recently received a nod at the Global Bing Partner Summit in Seattle, Washington. The company was recognized as Bing’s Growth Technology Partner of the Year (North America) for 2017. The honor comes on the heels of product enhancements made to their platform, AdVantage. With a focus on improving campaign performance, MatchCraft implemented an algorithm which provides advertisers with post click conversion data. This valuable insight provides advertisers the ability to find the best value for their ad spend and make more informed decisions when it comes to optimizing their search campaigns. 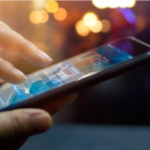 The award also recognizes the platform’s early adoption of expanded text ads, allowing advertisers to more easily transition their ads to the new format. For more information on how we can help with your SEM efforts, click here or speak with a consultant.